Premier League Previews for Chelsea v Tottenham Hotspur along with Prediction for week 29. Included in my preview is my pick, statistical analysis for each team, recent form, and betting odds. Chelsea’s excellent season has continued to roll on following their recent 3-1 away win over Fulham. They are guaranteed their place at the top of the table this weekend where they have 63 points and are four ahead of Liverpool in second. All three title challenges are off this weekend thanks to the FA Cup. Chelsea’s home form remains spectacular including 23 EPL matches without a loss. They have kept a clean sheet in their last three home matches and against Tottenham have not lost in their last 16 home matches. Coming in to this weekend Spurs are ten points behind Chelsea, but are in fifth place in the league. The interesting thing is that they have just a +4 goal difference having scored 37 and allowed 33. They are coming up against a Chelsea side that has scored 52 this season and only allowed 22, which means that it is going to be a difficult match for Spurs. 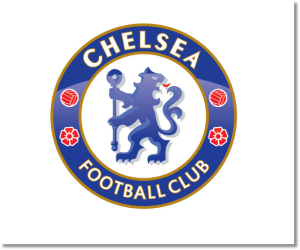 My pick is a Chelsea win. While it might not be a completely comfortable one for Chelsea, they have more than enough quality to overcome a Spurs side that seems to stutter more often than not. In their last six matches they have scored more than one goal just once in their 4-0 away win over Newcastle and were held scoreless at Norwich City.